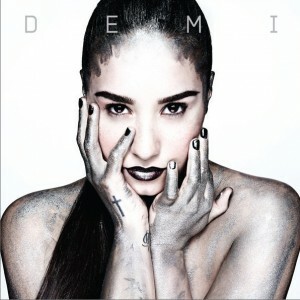 Multi-platinum Hollywood Records recording artist, Demi Lovato, is set to release her fourth studio album, Demi. The album features Demi's newest smash hit single, Heart Attack, which is already gold in the United States and Canada. Demi is Lovato's most personal album to date, and is an affirming celebration of life. Lovato co-wrote nearly every song on Demi, along with a team of top producers and writers including TheSUSPEX (Mitch Allan & Jason Evigan), Priscilla Renea, Ryan Tedder, Emanuel 'Eman' Kiriakou, Carl Falk, Rami Yacoub, Savan Kotecha, Ali Tamposi, The Monsters & Strangerz, Jonas Jeberg, Anne Preven and Matt Rad. Said Demi about her new album: I'm incredibly proud of this album, it's better than anything I have ever done! I experimented with a variety of different sounds and poured my heart into writing these songs. I'm so excited for everyone to finally get the chance to hear them!